President Uhuru has given a warning to his Cabinet secretaries to stop politicking in the expense of forgetting serving the common Mwananchi else they face being sacked from office. The president poke yesterday in a rally in Kitengela as he was heading to Arusha and assured the Kenyan citizens that in his rule, the cabinet secretaries will focus in helping the community in terms of service delivery and development. While addressing residents of Kitengela town on his way to Arusha, Kenyatta challenged his cabinet secretaries to choose between politics and implementation of government agenda in their dockets. 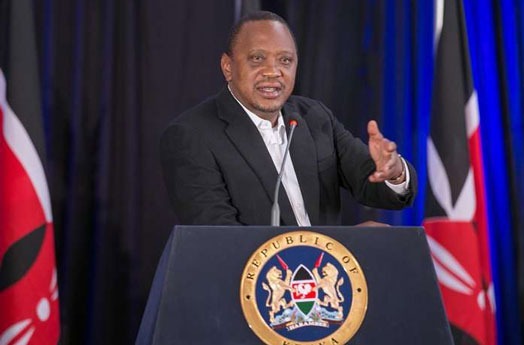 Not forgetting to talk about bringing the country together, Uhuru urged politicians to stop politics and wait for the right time for it and instead, they should focus on working together to better the Nation. He was accompanied by his Deputy President William Ruto who also denounced 2022 politics for the time being to focus on development and service delivery to Kenyans. Just recently, the deputy president had been accused of forgetting his job and campaigning for 2022 a move that solicited different reactions from different leaders.